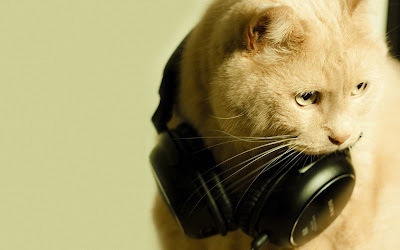 IPKat is here with your update of IP news and events! 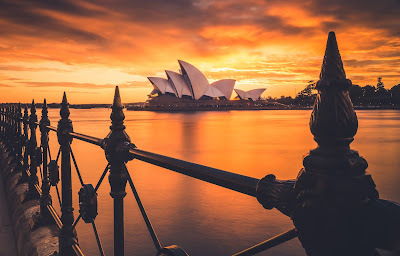 Highlights this week include a podcast featuring Kat Eleonora Rosati, a reminder of IBIL's Question and Answer session with Trade Mark Judges and a call for papers for ISHTIP's 11th annual workshop at the University of Technology Sydney. The Administrative Council of the EPO has appointed the next vice-presidents of the EPO: Stephen Rowan (UK), Christoph Ernst (Germany) and Nellie Simon (Austria). Find out more about the new vice-presidents here. Don't miss a Podcast with a Kat! Eleonora Rosati talks to UK Copyright Literacy on their latest Copyright Waffle podcast. Eleonora discusses her route into copyright law, her current work and provides an recent copyright news. You can listen to the podcast on the UK Copyright Literacy Soundcloud page. A reminder about this weeks IBIL's Q&A session with Trade Mark Judges. The event is co-organised with MARQUES and the European Association of Trade Mark Owners and will be held this Thursday, 18 October 2018 at UCL Faculty of Laws, Bentham House. On the panel will be HHJ Melissa Clarke (Senior Circuit Judge, Designated Civil Judge for Thames Valley, Beds & Herts), Judge Octavia Spineanu-Matei (General Court, Court of Justice of the European Union), The Hon Mrs Justice (Vivien) and Rose Harri Salmi (EUIPO Boards of Appeal member). See here for further details and ticket information. The Austrian WIPO roving seminar on WIPO Services and Initiatives will take place in Vienna on 24 October 2018. See here for free online registration. The recently created University of Nottingham Commercial Law Centre will hold its inaugural seminar on 21 November 2018 on the theme of user generated content. Victor Nabhan, former president of ALAI and WIPO consultant and professor of copyright in Canada in an earlier life, will deliver a paper on the new Canadian user generated content exception, its unique approach and the lessons that can be learned from it. Professor of Intellectual Property Law at the University of Nottingham, Paul Torremans, will offer a contrasting approach from an EU copyright perspective. Further information can be found here. The Applied Research Centre for Intellectual Assets and the Law in Asia (ARCIALA), Singapore Management University (SMU), is holding the 4th IP Scholars Asia (IPSA) Works-in-Progress Conference at the SMU School of Law on 30-31 January 2019. The conference aims to provide an open forum for Asian IP scholars to present and discuss their works-in-progress. US and European scholars are also welcome. See here for the conference programme. Further details and registration can be found here. The International Society for the History and Theory of Intellectual Property (ISHTIP) will hold its 11th annual workshop at the University of Technology Sydney on 4-6 July 2019. Proposals for papers are invited to consider different ways in which the visual and the legal interact in relation to different fields of intellectual property law. Papers that address this call from a historical or theoretical perspective are welcomed from scholars working across the disciplines. The deadline for submission of proposals for papers is 23 November 2018. The date for submission of full papers is 1 June 2019. See here for further details.